For most of us, the bathroom is a place of quiet solitude. But when something goes wrong, it can be very inconveniencing or embarrassing. 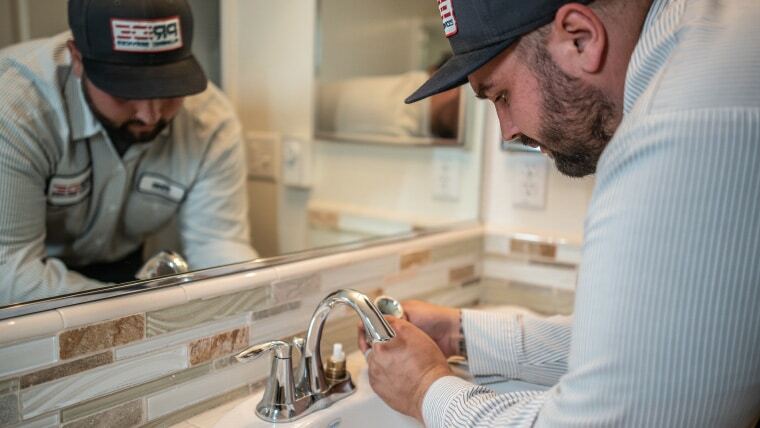 Pride Plumbing is experienced in bathroom plumbing around the Inland Empire and can expertly solve whatever troubles you are facing. Overflows – These are due to clogs, and the location can be anywhere from the U-bend to your mainline. The first is easier to correct, but no matter what the cause, Pride can take care of it. Running – If the toilet never seems to finish filling, there is a loose or broken part in your tank. No Flush – Check inside your tank to see if everything from your handle to the flap on the bottom is in place and intact. If you don’t feel comfortable adjusting anything, we will assist you. Cracks – This is a sign of that you need a toilet replacement. Newer toilets on the market are far more efficient, so you have lots of great options on your hands. Most of the time, a plug of soap scum and hair causes a clogged sink. You can pour a drain cleaner down, but if you want to avoid chemicals, it is also possible to physically remove the clog. A drain snake can achieve this. Another benefit of using a drain snake is that you get to see precisely what the hold up was, in all its gunky glory. We can easily assist you with them. Reach us at (909) 372-1239 for a friendly plumber dedicated to your pleasant plumbing experience.